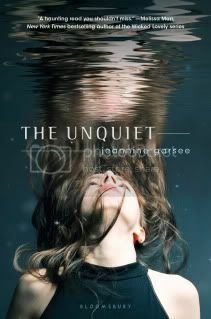 My YA paranormal, THE UNQUIET, will be released by Bloomsbury USA Children's Books on JULY 17, 2012. Blogger reviewers interested in an ARC, please e-mail me (jjgarsee at aol dot com) and I'll forward your request to Bloomsbury. THANK YOU! 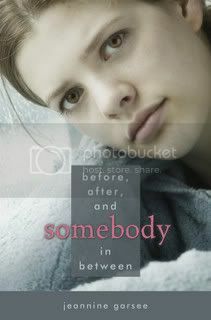 Sixteen-year-old Rinn Jacobs has two terrible secrets: she’s bipolar, and she accidentally killed her grandmother. After a suicide attempt, and now her parents' separation, Rinn and her mom move from California to the small Ohio town where her mother grew up. Back on her medications (again! ), hoping to stay well, Rinn settles into her new home and school. She refuses to be daunted by the fact that the previous owner hanged herself in Rinn's bedroom, or that her classmates believe the school pool is haunted by Annaliese, a girl who drowned there. But when a reckless séance goes awry, and terrible things start happening to her new friends—yet not to her—Rinn is determined to find out why she can’t be "touched" by Annaliese...or if Annaliese even exists. Jeannine is the author of the contemporary YA novel BEFORE AFTER AND SOMEBODY IN BETWEEN, a Borders ORIGINAL VOICE selection for August 2007 and a New York Public Library Book for the Teen Age. 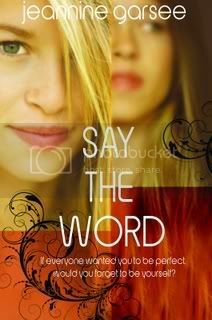 Her second YA novel SAY THE WORD (2009) received a starred review from Booklist and was named a YALSA Best Book for Young Adults. 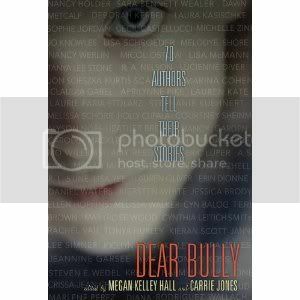 A personal essay, "Fearless," appears in the HarperCollins anthology DEAR BULLY: Seventy Authors Tell Their Stories (September 2011), edited by Megan Kelly Hall and Carrie Jones. Visit the author on FACEBOOK! Jeannine is represented by Tina DuBois Wexler of International Creative Management.